Authorities in the Philippines want to accelerate rehabilitation efforts for fishermen hit by Typhoon Haiyan to get the industry up and running as soon as possible. The Bureau of Fisheries and Aquatic Resources (BFAR) says 146,748 fishermen and 21 of the country’s 72 fishing provinces were affected by the storm. According to the UN Office for the Coordination of Humanitarian Affairs (OCHA), more than 14 million people were affected when Typhoon Haiyan struck the central Philippines on 8 November, displacing more than 4 million people and leaving over 6,000 dead. More than 100,000 of those displaced are still living in 381 evacuation centres, with the rest staying with family and friends, the country’s National Disaster Risk Reduction and Management Council (NDRRMC) reported on 2 January. Millions of people across nine regions in the central Philippines saw their livelihoods destroyed, lost or disrupted, the International Labour Organization said, many of them in the agriculture and fishing sectors. 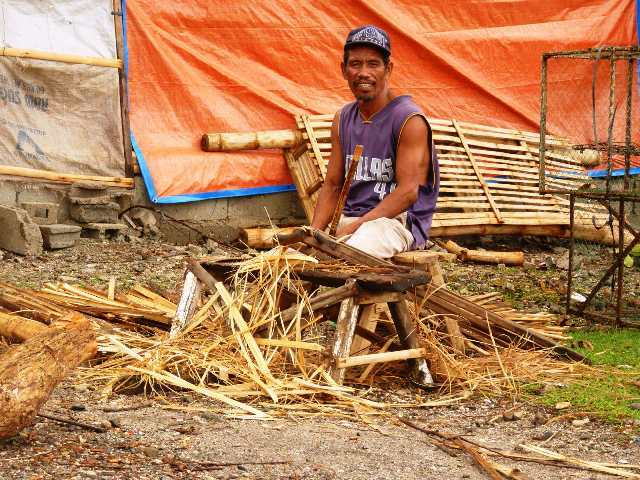 Preliminary assessments by the Philippines Department of Agriculture indicate that small-scale fishermen were the worst affected when the category five storm made landfall, destroying or damaging tens of thousands of small boats, fishing equipment and supporting facilities. Larger commercial boats suffered less damage. The Multi-Cluster/ Sector Rapid Assessment (MIRA), a cooperative effort involving more than 40 agencies working in the nine affected regions, points out that the two main sources of livelihood in the areas covered by the MIRA were agriculture and fishing. An estimated 30 percent of respondents, particularly those in coastal communities, cited fishing as their primary source of income. The MIRA also founds that 30-50 percent of fishing assets, many of them small boats, had been lost in the storm. Mapping the path of Haiyan shows that the major fish and aquaculture producers of the Eastern, Central and Western Visayas regions were among the worst-hit areas. The typhoon flattened crucial infrastructure, including jetties and launching ramps, onshore cold storage and ice making facilities, boat repair and maintenance workshops, processing factories and markets. Key aquaculture infrastructure was also destroyed, including oyster rafts, crab, shrimp, mussel farms, as well as fish cages , hatcheries and fish ponds, the UN Food and Agricultural Organization (FAO) reported. The latest DRRMC figures put the total damage to the fishing sector at close to US$135,000,000. According to the FAO, which is calling for the prompt and sustainable rebuilding of livelihoods in typhoon-affected regions, in 2011 these regions accounted for 21 percent (514,492 tonnes) of the total Philippine municipal and commercial fishing sector combined. BFAR has launched a programme that aims to provide 10,000 boats to 20,000 families [one boat for two families] in typhoon-affected areas over a three-month period. The National Programme for Municipal Fisherfolk Registration (FishR), which provides a database of fishermen, will be used to determine and monitor the beneficiaries of the programme. The registration of fishermen is mandated under the Fisheries Code of 1998. After years of delays, BFAR launched the nationwide initiative in May 2013 and projected completing registration of the estimated 1.2 million municipal fishermen by December 2014. To date, about 300,000 have registered. “Coordination and monitoring are very important to make sure that the boats are given to the actual fisherman, and we do not replace more boats than what we had before,” said Robert Lee, fishery industry officer at the FAO regional office for Asia and the Pacific. Jose Allan Narciso, 47, a fisherman on Olotayan Island, said he has yet to hear anything about the registration of fisherman, or any plans by the government to help him repair his boat. It takes between one and two hours by boat to reach the remote island from Capiz province, the seafood capital of the Philippines.